“Big lawyers appear in media and give several statements against the judges of superior courts but they are not held guilty of contempt but Vashishta is a small lawyer, he can’t be punished without verifying the contents,” Senior Advocate Vikas Singh Argued For Vashishta. 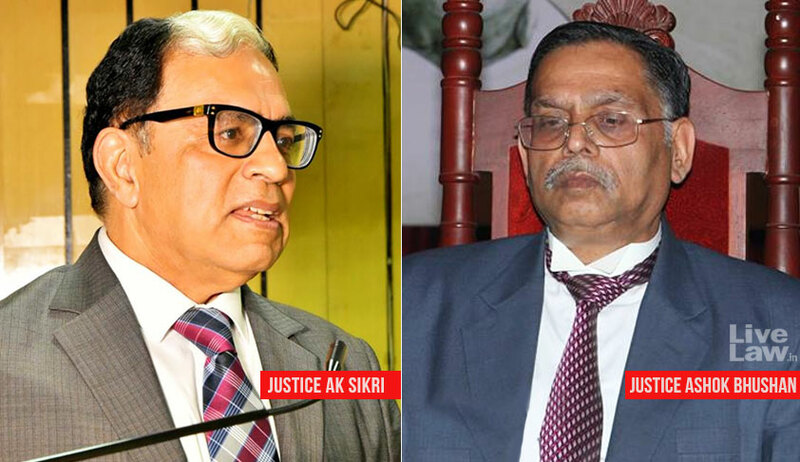 The bench comprising of Justice AK Sikri and Justice Ashok Bhushan issued notice to Punjab and Haryana High Court and sought reply on a petition filed by Advocate Manish Vashishta against the High court order. Appearing for Vashishta, Senior advocate and President of Supreme Court lawyers’ union Vikas Singh argued that the high court had passed the order without verifying the content on the Facebook. “Even experts say, the content of Facebook can be doctored. Big lawyers appear in media and give several statements against the judges of superior courts but they are not held guilty of contempt but Vashishta is a small lawyer, he can’t be punished without verifying the contents,” Singh said. The suo motu contempt case had been initiated against the Narnaul-based advocate for his allegations against an HC judge in connection with a judicial order passed by him on August 24 last year. According to the HC order, the order was passed in some personal litigation involving the contemnor. Live Law has reported a recent Judgment of Himachal Pradesh High Court that sentenced a lawyer to one-month imprisonment for his contemptuous comment against judges on his Facebook page. Apart fromthe sentence of imprisonment and fine, the High court also directed the lawyer to delete his Facebook account. Registry was also directed to ensure that it is taken down.